​Christian Shofstahl graduated from St. Martin’s Episcopal High School in Metairie, Louisiana, where he was a four-time state champion in track and field and all state in football. He attended the University of North Carolina at Chapel Hill on a full athletic scholarship and graduated with Dean’s List and Atlantic Coast Conference Honor Roll honors. After graduating from UNC, Mr. Shofstahl returned home to attend Loyola University School of Law in New Orleans. At Loyola, he attained Moot Court honors, and his brief was awarded the best brief award at the 1999 Tulane Moot Court Mardi Gras Invitational. 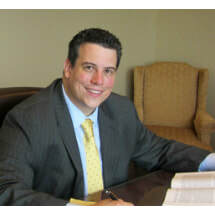 Admitted to the Louisiana bar in 2000, Mr. Shofstahl spent the first decade of his career almost exclusively defending automobile insurance companies. While defending hundreds of insurance claims, Mr. Shofstahl became well versed in Louisiana insurance law, including the deadlines imposed on insurance companies to pay claims and the correlating penalties insurance companies face for failing to abide by those deadlines. Mr. Shofstahl has also presented numerous seminars to insurance adjusters regarding the proper handling of automobile insurance claims in Louisiana, and he drafted an automobile insurance policy that was used throughout Louisiana.